QUESTIONS? Contact Vicente Tinoco at river.restoration.sagehen@gmail.com. 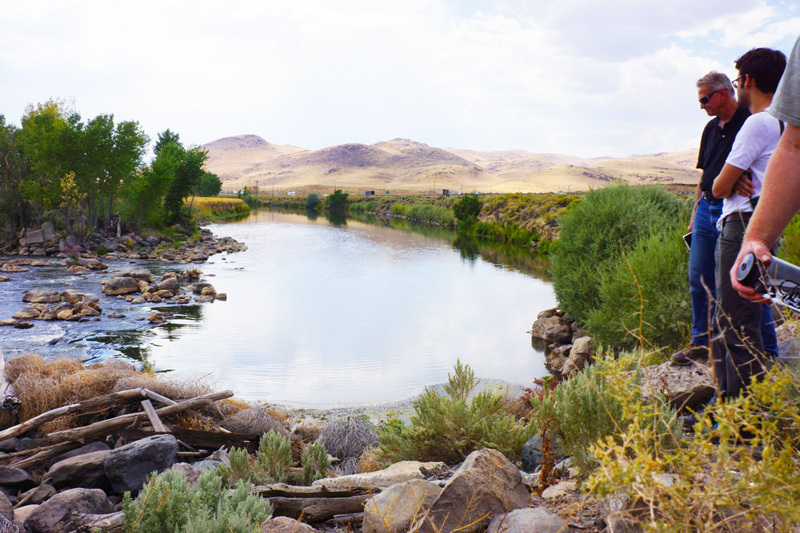 The Sagehen River Restoration Shortcourse and the College of Environmental Design of UC Berkeley more broadly are committed to attracting talented students with diverse backgrounds, cultures, experiences and perspectives. We strive to cultivate an inclusive environment for our faculty and students that respect and reflect the diverse communities in which we live and work. The intellectual exchange of ideas, learning to interact effectively with each other, and developing attitudes of responsibility for leadership in society and decision-making, are enhanced through a student community that respects and values the insights gained from various points of view. We welcome all participants to the Sagehen River Restoration Shortcourse and welcome you to join our community! Watch the following 1-minute video to get a flavor for the course. The course integrates perspectives from leading academic researchers and consulting practitioners in river restoration. Lectures, exercises, field trips and case studies cover a range of restoration approaches from state-of-the-art hydraulics and sediment transport, to historical analysis and context-specific considerations ranging from urban infrastructure to natural resources. In addition to field data collection techniques, the course uses spreadsheet models to calculate sediment transport and channel design, map and aerial photo analysis, and sequential problem solving in approaching restoration of fluvial processes. The course includes field trips to the Truckee River and streams in the Lake Tahoe Basin, and workshops on restoration problems faced by participants for discussion where we develop ideas on analytical approaches and recommend resources. This course emphasizes integration of hydrology, hydraulics, sediment transport, geomorphology, aquatic ecology, fisheries, and riparian ecology, and includes field measurements, mapping, and interpretation. This course is brought to you by RiverLab at the UC Berkeley College of Environmental Design. A related course, Sediment Transport in Stream Assessment and Design, builds upon principles and techniques covered in the Sagehen course, but is focused on sediment transport in channel design. Offered annually by Peter Wilcock, co-instructor of the Sagehen course over the past 15 years, it will be held this year at Utah State University, Logan, 29 July-02 Aug.